From automotive to food and beverage, from pharmaceutical to packaging systems - in nearly all industries, more and more processes such as the transport of goods, load handling, picking and assembly have been automated. Innovative transport robotics systems ensure that the right products are transported to the right place at the right time. 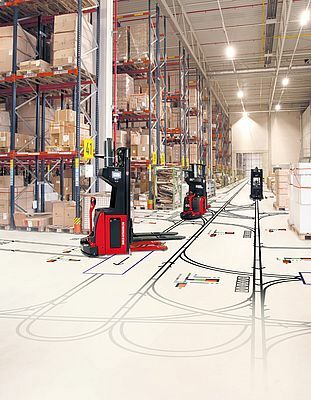 Modern Automated Guided Vehicle systems (AGV) perform this task quick and reliable. But how can such a concept be optimally planned? Numerous factors, such as traffic tracks, the number of vehicles, system cycle times and many others must be brought together and coordinated perfectly in order to create an efficient system that delivers the desired performance. So, it is worthwhile to enlist the support of experts. E&K Automation GmbH with its headquarters in Rosengarten in Lower Saxony, Germany, and with its about 180 employees worldwide specialises in the automatization of materials handling and storage systems with their state-of the art transport robots technology. The company, which is one of the leading AGV and transport robots suppliers on the European market, develops intelligent and efficient transport solutions for a wide range of transport tasks. More and more customers rely on the long lasting experience of the specialists at EK Automation and demand for an individual concept on behalf of the simulations - another big business field of the company. Simulation means to create a 2D or 3D model of the customer’s facilities, in which many different processes are visualised and simulated - always in order to get the optimal solution and to detect potential problems in advance. This makes it possible to customise the transport concept exactly according to building surroundings and to achieve maximum productivity - and to prevent costly “surprises” due to bad planning. How the expert simulation team works in these projects is explained by Florian Johannsen, Team Leader Consulting & Simulation at E&K Automation GmbH: “We use Tecnomatix Plant Simulation from Siemens, a special simulation software for creating such models. 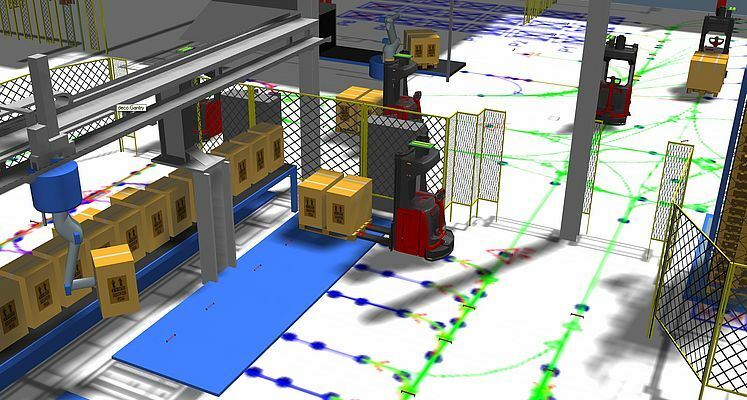 On the basis of this software, we developed a special modular system for fast and effective visualisation of many different processes.” For a 2D or 3D simulation, the experts at EK Automation are in need of very exact layout data, such as blueprints of the facilities, the location and dimensions of systems, shelves, etc. This data will be matched together with the data for the desired Automated Guided Vehicles (AGV) designed by EK Automation, with the data of the company processes’ and the data of the required transport tasks. Further important information includes transport flows and their fluctuations throughout the day. Buffer sizes and machine behaviour in adjacent areas are also taken into account. A 2D or 3D model is then created on the basis of this information. “In our planning, the layout data has to be accurate down to the centimetre; deviations would cause problems. The more exact the data we work with are, the more reliable are the final results,” emphasises Florian Johannsen. of walls, passageways, windows or doors, and many other specifications, are then available “on click” for creating simulations and for a future implementation of the transport robotics concepts. In the numerous possibilities that are analysed by using the model, there are two major unknown facts that can only be determined on behalf of the simulation: the empty runs of the transport vehicles and the potential traffic jams. The simulation’s purpose is to identify and minimise these factors. Furthermore, the visualisation of natural fluctuations can be only seen via the simulation. So very often it is necessary to consider other factors that have little or nothing to do with the actual transport system and that affect the entire material flow process, such as the cycle time of the systems, the speed or the buffer capacity of the conveyor belts. When planning a new system, the simulation makes it possible to compare different concepts and to develop diverse transport strategies. But simulations are also used for existing systems. For example, that makes it possible to determine exactly where to look for the bottlenecks in the system. 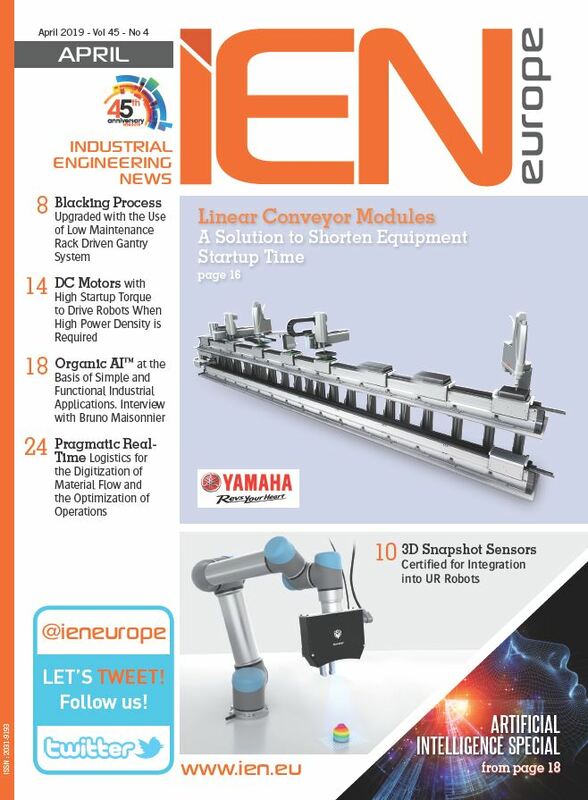 Since 2014 the simulation team at EK Automation has already implemented more than 60 projects, each within a period of one to ten weeks, depending on the complexity. Once a simulation model has been created for the client, it is a versatile tool that can be used for future optimisation of the set-up sequence in systems. Arla Foods in UK, the biggest global dairy manufacturer, even invested in its own licenses for the software. The specialists in Rosengarten customised the simulation for the manufacturer’s plant in England so that the company’s employees - trained by the EK simulation team - can try out how the transport system reacts up to changes in specific data of the highly coordinated material flow process.